Gosh, her love story damn fairytale lo. My heart also melted, it's so warm and fuzzy. 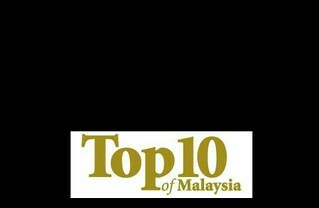 I can't believe I missed so much, after just 1 week without the internet, so many things happened. She is getting married, time passed so fast as I remembered I was just starting to follow her blog sometime ago. I was so fascinated with her 'zheng-ed' sidekick phone and blackberry which kept me coming back for more of her life stories. Congratulations Wendy and Mike! 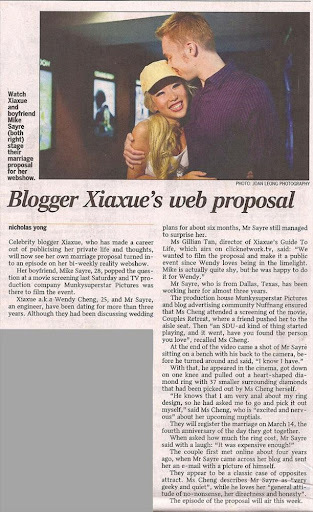 There's a video of xiaxue's proposal, somewhere in her blog. I'm just to lazy to link it.